The Chicago Zine Fest is coming to Columbia, and this year one of our own will be hosting a workshop. 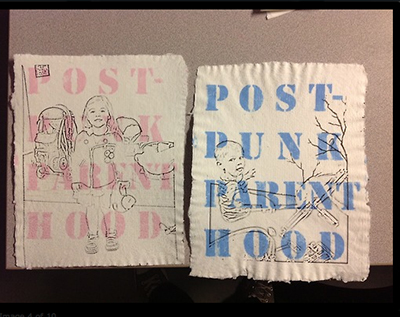 Second-year Book & Paper student Dustin Seelinger will be leading Beyond Poop and Puberty: The Politics of Parenting Zines. The workshop will be held from 1:30-2:30 p.m. in Workshop Room 2, 8th Floor of 1104 S. Wabash. All workshops are on Saturday, March 15th. Seelinger’s workshop will be a discussion with Tomas Moniz, Jonas, and Dustin Seelinger about the history of parenting zines, the practicalities of sharing stories about family, and the possibilities of building radical community. The Chicago Zine Fest is an independent event creating an outlet for small press and independent publishers to showcase their work. Their goal is to make DIY zine-making accessible, highlight the talents of self-published artists, and give independent artists a chance to interact, and swap skills through tabling, community events, and workshops.